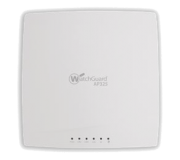 The WatchGuard AP325 is an indoor access point providing a cost-effective way for fast and secure Wi-Fi access. Ideal for larger sites, the AP325 delivers broad and fast Wi-Fi coverage. Managed through your WatchGuard or the cloud it also supports granular authentication for both known and unknown users.